Brands have weighed in on this topic, placing their support behind artists who influence. 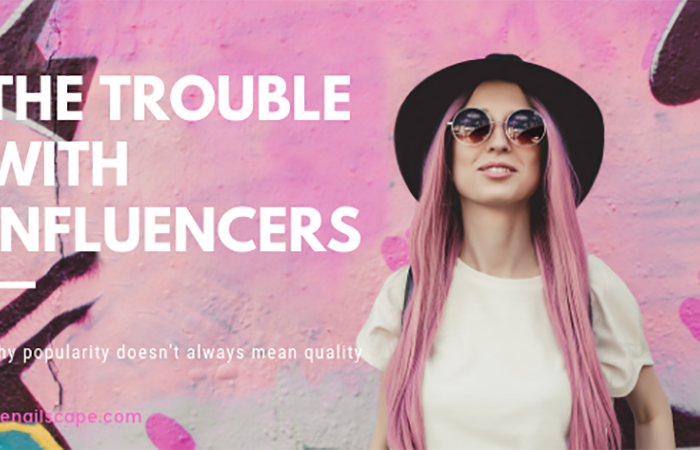 These “influencers” receive perks ranging from early access to product releases, entire lines of free product, to paid endorsements, with top beauty influencers signing contracts in the seven figures. This lucrative business practice helps the brand zero in on an engaged and excited customer base, and use the influencer’s credibility with their audience to increase sales and brand recognition. To many on the outside, it looks like a win-win scenario, and it generally is. It is when attaining that rare influencer status becomes synonymous with success, that it becomes problematic. Along with a large following comes an automatic assumption of credibility. Those who follow the big nail accounts can sometimes begin to be swayed by the influence those people hold because “how could they have 100,000 followers on Instagram and do things the wrong way?” We think our readers would be surprised to know how many of those influencers are unlicensed, employing shady business practices, misclassifying their salon employees, or even buying those followers. Social media is a varied landscape of users who all have different goals. The Nailscape, for instance, is active on social media to connect with other nail professionals and enthusiasts to provide information, news, product reviews, and education. Of course, we want you to follow us and visit the site, like you’re doing right now, and provide you with useful information in the process. We know that our audience likes tutorials and pretty pictures of salons, which is why we have a presence on YouTube and Pinterest. Those platforms help us meet the goal listed above. This is where most nail techs get it wrong. They join social media without a defined goal or any idea who their audience is. They work and post daily with the vague idea of working towards “success.” As a result, their feeds are often scattered and inconsistent. They ping pong back and forth between photos of nails and random shots from their personal lives or salon. 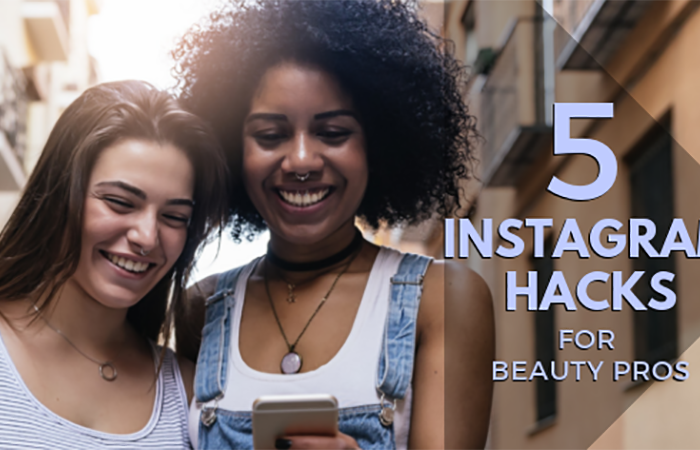 The photos of nails have 80 tags of accounts and brands in an attempt to be “noticed.” The photos aren’t high quality, and these techs wonder why they are’t gaining any traction or new clients from their efforts. If you are wholly concerned with how many followers you have, that’s all your accounts will ever be – a place for blatant follower seeking. 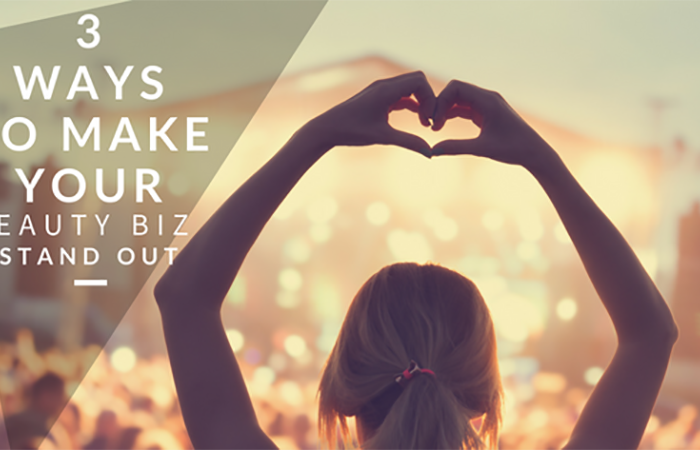 Clients and potential clients value quality over quantity, and sadly, you can’t pay your bills with Instagram followers or Facebook Page likes. It’s time to strike #f4f from your social vocabulary. We’re going to break it down for you. 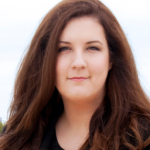 Assuming you are a nail tech who takes appointments: If you’re not using your social media as a conversion tool to gain more clients, you’re doing it wrong. Social media is a way to introduce yourself to new clients and keep your current clients engaged with your brand. Period. 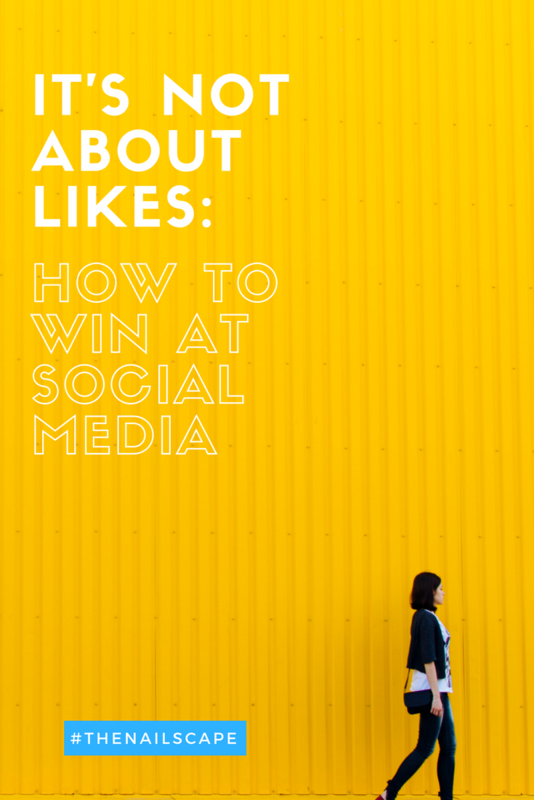 We need to shy away from measuring success by “how many likes did it get?” and false/meaningless engagement (that can actually be purchased.) What do those likes mean? How do you use those likes and followers to make more money? If you aren’t on social media to get more clients, or to educate people, or to get more of whatever goal you’re seeking, then you’re fighting a losing battle. Begin with a clear, defined goal, and build your social presence around it. The only metrics that really matter when it comes to our social media accounts are conversion and retention. Conversion refers to the rate at which you are turning casual profile viewers and likers into actual paying clients. It’s the number of people who see your work on any of your accounts who actually click your booking link and decide to come to your for their nail needs. Retention refers to the number of clients you have who stay active clients and would list your salon as their preferred nail salon when asked. It’s the number of clients on your books at any given time, who have standing appointments or will book in with you over any other nail salon in their area. With conversion and retention in mind, it’s time to be strategic about how we use social media to reach those goals. No one should have to search to find out how to make an appointment with you. Your photos should reflect your absolute best work, and they should have consistent lighting and posing. You should be using the appropriate amount of relevant hashtags, and the list goes on and on. If you’d like to dive into your social media goals and build your online presence with intention, we’ve put together a free downloadable goal-setting worksheet with a checklist that you can use to prime your social media accounts for optimal conversion and retention rates here. You can use it to clarify your message, build a bio that converts, and help turn your social accounts into a tool that feeds your brand, instead of the other way around. This is the first of many posts to come about intentional and successful social media use. The Nailscape will be out on the show circuit this year with classes on this topic. We’ll be announcing those 2017 dates shortly, so make sure you are a member of our email community to be the first to know. Download our free social media mini workbook and conversion checklist here!